I ordered from DoorDash an hour ago and my food still hasn’t arrived I now have to get out of my house to go get it. I have not received a refund nor a text message. I’ve used DoorDash before and this has never happened. 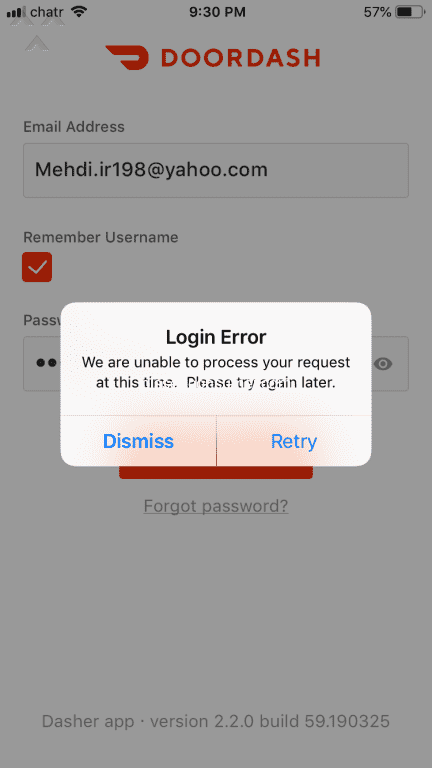 What’s wrong with my account I can’t login? The dasher contacted me to call customer support, but all lines were busy. My dasher told me he could not deliver because his app crashed.